Northwestern Counseling and Support Services (NCSS) is the designated mental health agency for Franklin and Grand Isle counties. NCSS offers a wide variety of services to meet the needs of the members of our community, and we are always looking for new ways to reduce the stigma that surrounds mental illness and increase the number of services that we do offer. Currently, NCSS has been working with local agencies to find and secure transitional and emergency housing for youth in our community. Community members include Northwestern Medical Center, United Way, Spectrum Youth and Family Services, Champlain Valley Office of Economic Opportunity, Champlain Housing Trust, City of St. Albans, and the Department of Children and Families. This team is working towards creating transitional and temporary housing to fill the need that our local youth have. NCSS also has a Youth in Transition (YIT) group that meets weekly and is open to all youth who wish to attend. The goal of the group is to create an opportunity in which local youth are empowered, to improve the image of youth in their community, and give them a positive place to socialize. It also has the added benefit of allowing youth to develop healthy relationships, social skills, and learn independent living skills. NCSS staff work to promote and assist in youth engagement with local community activities and members. Formed in 2012, YIT has held meetings in various locations around our communities. 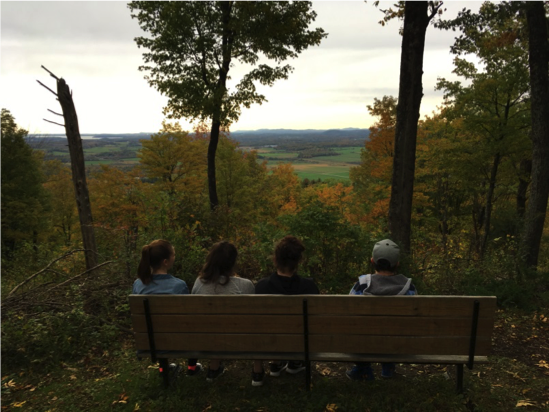 Favorite activities reported by the youth who attend are Chopped, the Champlain Valley Fair, apple picking, walking around Church Street, hiking up Mount Philo, and dog walking!